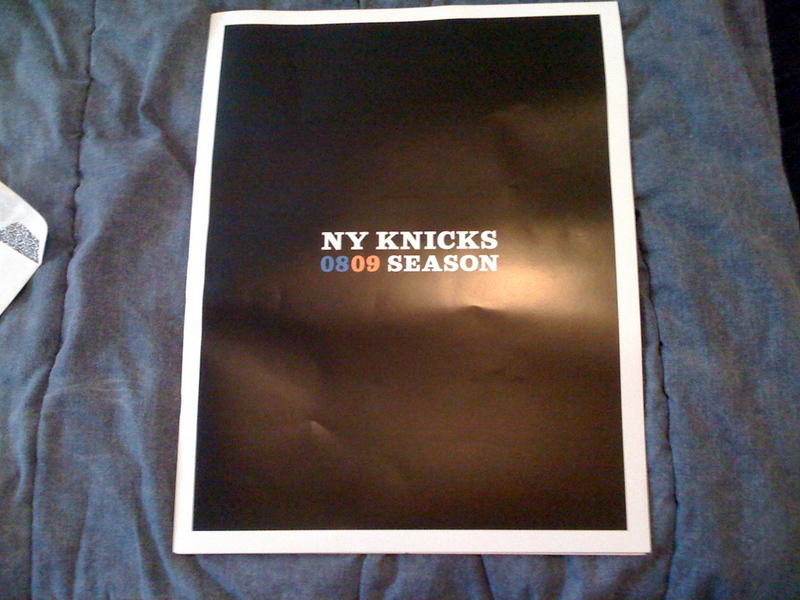 2008-2009 The Year Of The Knicks? 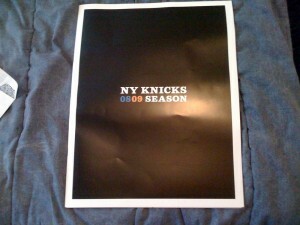 So my Knicks season ticket subscriber renewal notice came in the mail today, and to my surprise it measured about 24×12. 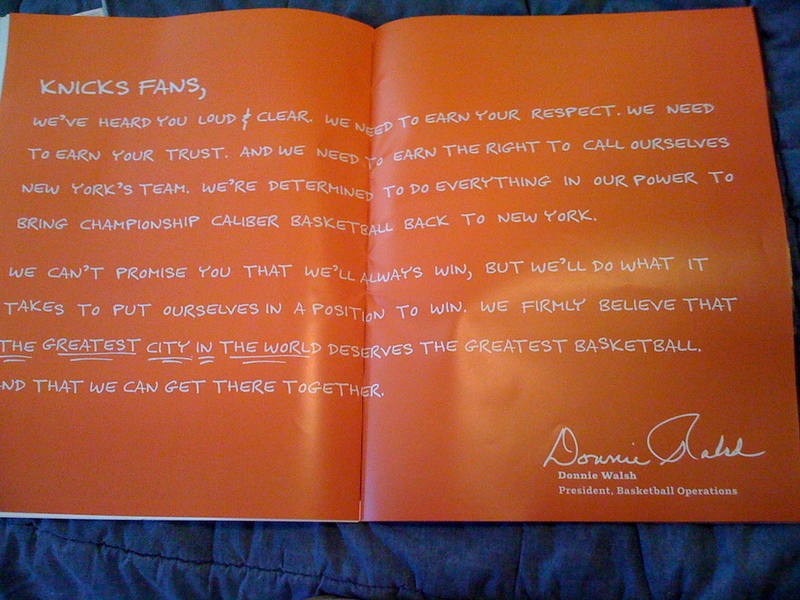 Inside was an over-inflated magazine containing ‘hand-written’ notes from the coach, players, and from the new GM Donnie Walsh himself. Will this plea be enough to convince me to buy tickets again? 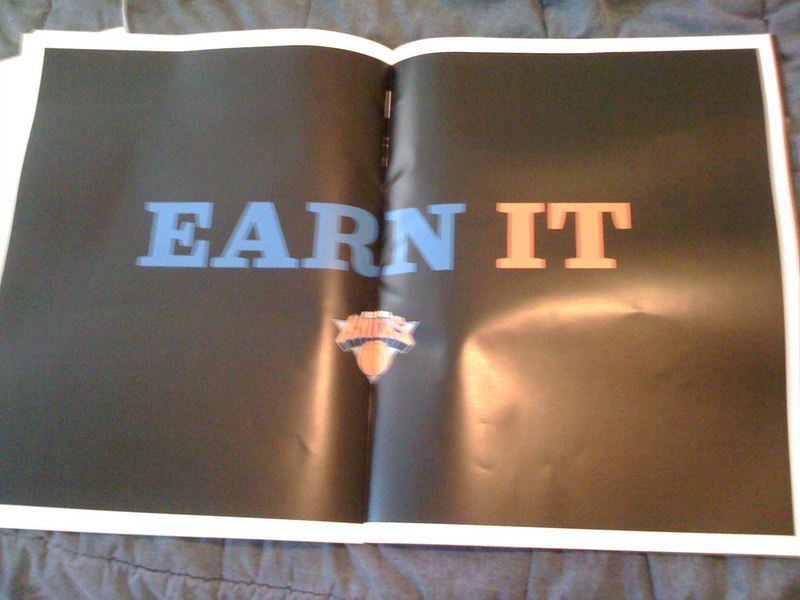 Posted on August 19, 2008 by petkanics. Bookmark the permalink.